In the 7 years since Apple released the first iPad®, how we connect, communicate, receive and share information has changed in ways we could not have imagined. Nearly every industry – from automotive to music, retail, publishing, education, construction, even farming has taken notice. They have found ways to leverage the mobility of tablet technology and take advantage of these powerful computing devices. Even healthcare – an industry notoriously slow to adopt new technology – has found in the tablet a device that many physicians like for its portability, long battery life, and ease of use. Thanks to the invention of an innovative ENT surgeon from Ottawa Canada, occupational hearing conservation is another industry poised to be changed dramatically by this powerful platform. Back in 2014, his team released to market the first clinically validated and commercially available iPad audiometer. Comprised of software, the iPad, and a set of calibrated headphones, SHOEBOX Audiometry is now helping to change how occupational hearing conservation testing is performed. There are many reasons why occupational hearing conservationists are ready to adopt the iPad audiometer. The system is compact, ultra-lightweight, and does not require an external power source or Wi-Fi to function. The iPad audiometer redefines the meaning of what is truly a portable audiometer making them ideally suited for testing in remote locations like oil rigs, out in the field, or on a mining site, for example. SHOEBOX Audiometry is one of the most sophisticated tablet audiometers available today and what sets it apart from others is that the system lets you choose between OSHA and ANSI Maximum Permissible Ambient Noise Levels (MPANLs). It also offers background noise monitoring and has been validated by independent peer-reviewed research to function equally well both inside and outside of a sound booth in a reasonably quiet environment. This is proving to be a game-changer for occupational hearing conservation program managers who no longer need to send fleets of trucks across the country to perform testing. Nor do employees need to take valuable time off work to head to a clinic for annual evaluations. Another benefit of SHOEBOX is that the system offers multiple testing methods depending on your specific needs. In ‘manual mode’, SHOEBOX is fully controlled by the tester who selects the frequencies or the types of tests to be performed. On the other hand, in ‘automated mode’, the system offers a game-based interface that lets the employee – using pre-set configurations – self-test by dragging and dropping a series of icons based on if they hear tones presented at various frequencies. Many have reported that their employees are more engaged in the testing process when they can interact directly with the test in this manner. And for many, not being limited by the availability of a sound booth means that more testing can be performed simultaneously. Regardless of which testing mode is selected, the system will produce a valid threshold audiogram. Here’s where things get very interesting for occupational hearing conservation. With Wi-Fi connectivity enabled, and by taking advantage of SHOEBOX Data Management, the employee and test information collected on the tablet can be stored, organized, and analyzed in meaningful ways. It is even possible to import historical test data from a traditional system into the tablet environment. Results are backed-up to a compliant cloud-based storage service and can be shared among testers or administrators, organized by projects or clients, and easily moved to other reporting systems, if needed. It can event alert, then generate OSHA-specific reports, when a threshold shift has been detected. Although great progress has been made in occupational hearing conservation testing in the past decade, we believe that tablet audiometry – and SHOEBOX Audiometry and Data Management specifically — will provide the next big leap forward. We envision an environment where more tests can be performed by more people in more locations and with less lost productivity. 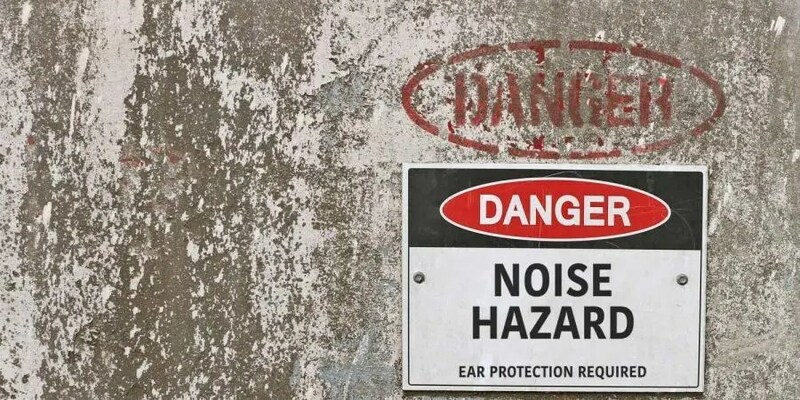 We also believe that by easing the identification, categorization, and reporting of threshold shifts we can lessen the burden of occupational noise exposure for everyone involved. Especially for our valued employees.